“For whatever reason, I didn’t succumb to the stereotype that science wasn’t for girls.” Those are the words of Sally Ride—the first women to travel to space, and still the youngest American astronaut to do so. Not only did she voyage twice on the Challenger, but she held a PhD in physics. Her area of special interest? Astrophysics. Thirty-five years after Sally Ride’s first trip beyond Earth’s atmosphere, women and girls remain dramatically underrepresented in the world of STEM. What’s more: we know the gap emerges in school, as early as a child’s elementary years, due to barriers of policy, exposure and the same limiting stereotypes that Sally spoke about decades ago. 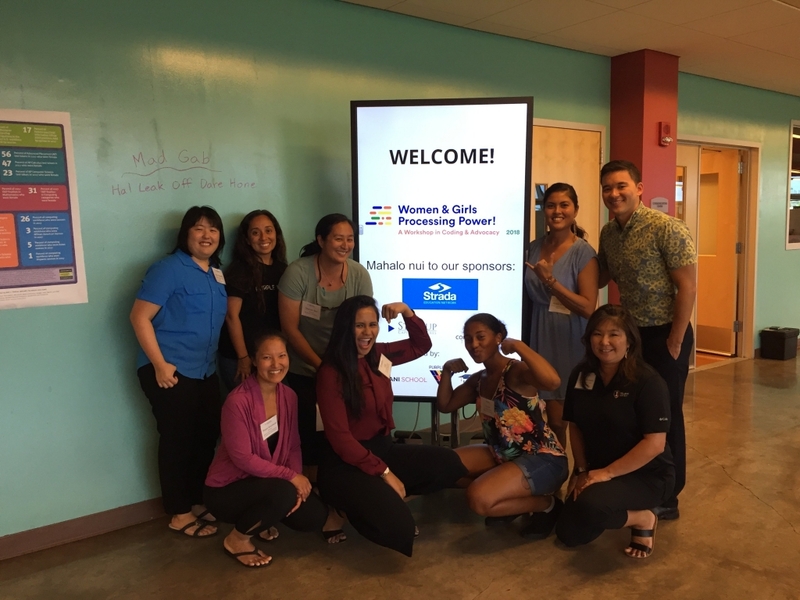 But science is for girls—and that message was loud and clear the weekend of July 13, when HawaiiKidsCAN partnered with ‘Iolani School’s Sullivan Center and Purple Maiʻa Foundation to host Women & Girls Processing Power! 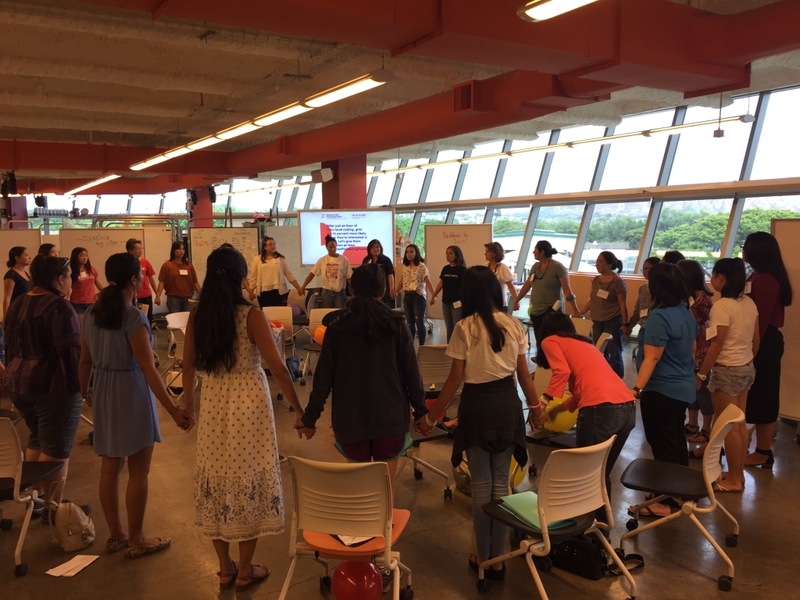 2018: A Workshop in Coding & Advocacy. Today, I’m proud to share the highlights! Our event was the first of its kind, and a true collaboration. 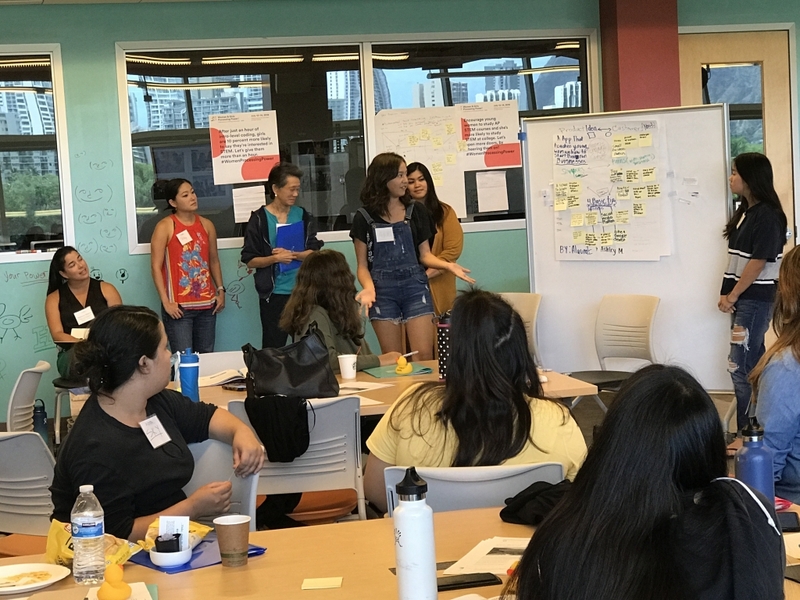 It was a chance for women and girls to empower themselves through dialogue and action, and to learn what it takes to build technology that serves communities across Hawaii, the country and the world. In particular, we focused on the potential for even greater progress in this era of cracked glass ceilings and the #metoo movement. 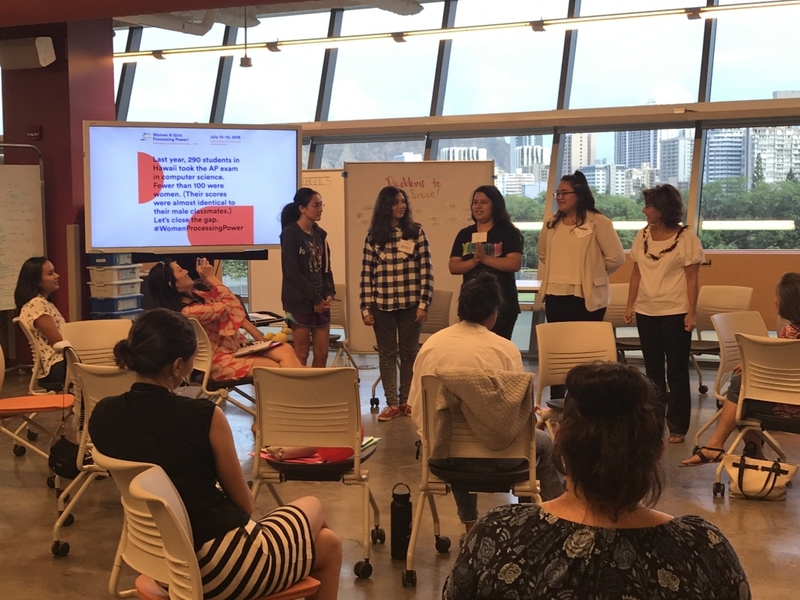 Over the course of two days, dozens of people united—from students and state leaders, to educators and STEM professionals—to answer these questions and celebrate the contributions of women and girls to science. We explored everything from coding to storytelling, and what tech privilege means in 2018. We learned how to code hands-on, and we developed strong ideas for apps that could transform communities. Above all, we saw female camaraderie in action in a space where everyone felt safe and free to share. Our event began with an opportunity to share the names and stories of women who inspired us to pursue our passions! Teams of students collaborated to develop and present ideas for apps that could empower communities. 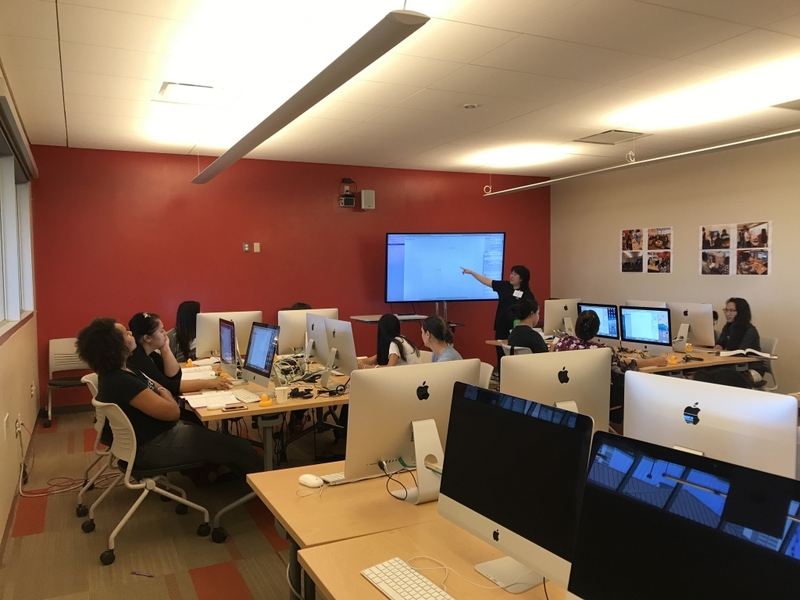 Event co-organizers Erin and Jackie used Xcode to lead an introduction course in coding and app development. Students were invited to share the empowering affirmations that drive their studies with State Superintendent Christina Kishimoto. Among the ideas we heard over the weekend were many suggestions for closing the gender gap in STEM. What did our young leaders have to say? You can find more pictures from the weekend here! This event left us feeling inspired—and it wouldn’t have been possible without the incredible contributions of time, wisdom and resources from our distinguished keynote speakers, mentor panelists and sponsors. 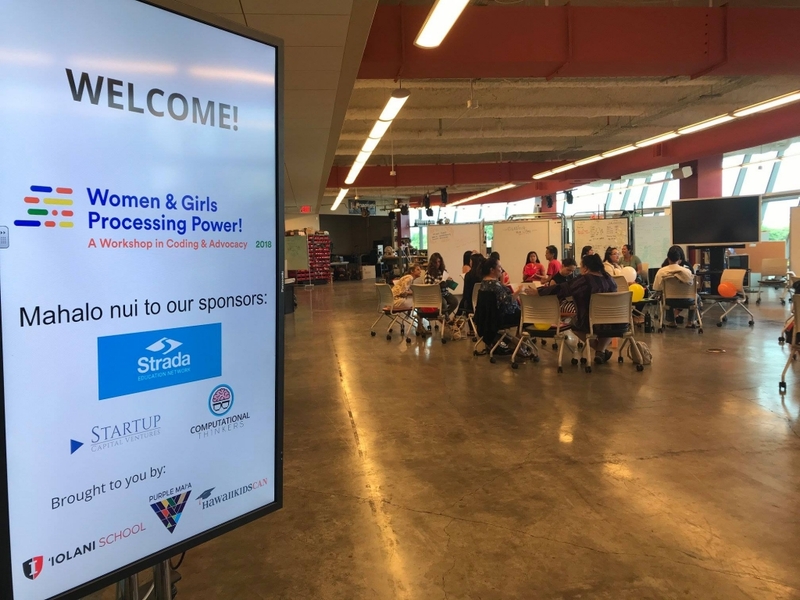 We know this event was just a start, and we have lots of work to do before the gender gap is closed in STEM—before we’ve built systems that truly promote equal opportunities for women and other underrepresented groups in the economy of the future. Beyond that, we’re inspired by another simple truth: everyone deserves to actualize their dreams—and entire communities reap the benefits when a young woman with a passion for the stars is empowered to pursue an education that prepares her to change the world. Let’s keep working toward an inclusive tomorrow.